Residency in Spain is granted under the new investor visa for investors spending a minimum of 500,000 Euros on a real estate property purchase. Residency means the right to live in Spain and travel freely to Spain which is within the Schengen visa area of Europe. It does not grant citizenship, which can be applied for at a later date. Citizenship in Spain can lead to resdiency in other European countries. Residency under the Spanish investor visa programme allows a real estate investor and his or her immediate family to live in Spain. The legislation has no minimum period of residence. Hence an investor can buy a property in Spain, travel freely to Spain at any point and his or her family can do the same. The family can live in Spain permanently, with access to schools both state and private following the English curriculum. Eventually citizenship can grant access to study elsewhere at universities in Europe including the UK. But some wording says the children cannot access the state schools, which one is correct? State schools are ok within the scheme but you will need medical insurance as you can’t access healthcare. However if you are spending €500,000 cash on a home then €7000 or so a year to get your children into a private education in English that then allows you access to universities in the UK and elsewhere because of the English language capability is perhaps worth considering. Do the applicant(S) have the work permit when they get their Golden Investor Visa? No, the investor visa does not allow you to work in Spain. Although you can of course run your own business. After 5 years you can gain permanent residency and the right to work. If citizenship and working are issues then a better option is to look at Portugal. See our website for the investor visa in Portugal. Hello La Vida, are you absolutely sure there is no work permit? I’ve read the opposite elsewhere. You say no work permit until there is permanent residency. And permanent residency not possible without five years of continuous living in Spain. So in theory, the investor who does not live in Spain will never get permission to work in Spain. Is this correct? With the Spanish Golden visa, you cannot work as an ‘’employee’’ in Spain but you can establish your own business. So you could work as a consultant or freelancer and be self-employed. So, if I understand you correctly, I can buy a Eur500 tho home and send my wife and kids to Spain and they can go to a private international school and be there for let’s say 3 years with no problem. This issue is that they would not have public health insurance correct? So I would need to have some kind of international insurance covering Spain. Would there be a problem if I (the husband) during these 3 years end up staying more than 183 days in Spain, even though my center of interest were still in Latin América (homes, company and investments)? That’s correct in that your family can live in Spain, attend international school but would need private healthcare as this golden visa programme does not allow access to the Spanish health system. If you spend over 183 days a year in Spain then you would become tax resident. After 10 years you could apply for citizenship. Have you considered Portugal? Similar scheme, 6 years to citizenship without having to spend time in country (1 week per year average) plus a very beneficial non habitual tax residents regime just introduced which may well suit your circumstances. Can I keep renewing the temporary residency every two years without applying the permanent residency? Or I must stays in Spain more than 183 days in the fifth year to get the permanent residency otherwise I will lose my residency right? Yes. It is not necessary to go for permanent residency. You can just keep renewing on the investor visa every two years. My question is, after I acquire the property and everything is OK with the due legal process, is mandatory for me to fill the residency form(s)? I mean can I buy a house whose value is over 500,000 euros as if the Golden Visa didn’t exist? If so, in case I change my mind, is it possible to require the residency visa months or years after I bought it? Thanks. Yes you can purchase the property then decide to apply for the investor visa retrospectively. In fact if you have already bought the property in the last 6 months or year that will also be fine. However important to check before you do buy that you are buying in the most appropriate country for the right end objective such as permanent residency and/or citizenship. For example it takes only 6 years in Portugal, without the need to live there but 10 years of full time residency in Spain to achieve citizenship. In Cyprus you can gain citizenship straight away but the investment is €2.5 million. We can advise based on your circumstances. I had read in some news sources that the amount of money, which you need to invest to buy a real estate, will be/is reduced to 160 000 EURO. I would like to get the details of this subject. Thanks. There are a lot of old news stories on the web unfortunately and this is misleading. When the Spanish government first proposed the golden visa programme they wanted to set the limit at the average property price in Spain, 160,000 Euros. When they finalised the scheme almost a year later the limit was set at 500,000 Euros, exactly the same as Portugal. my question is :if i will buy a property of 500 000 euro and then got the golden visa for one year and then for two years two times without having the right to work ,after five years i can submit for the permanent residency .is it accepted automatically if i still own the property ? and how much i have to stay in Spain for the next five years to be accepted to apply for the citizenship ? Your 19 year old can probably be included as dependent but please contact us direct to go into detail. My question is : suppose that in the first 5 years , i would be in spain just 10 days per year . can i apply for the permanent residency after 5 years? if yes => if i get the permanent residency in the fifth year i should stay in spain at least 183 per year from the fifth year . is it right ? what is the expiration date of permanent residency card and how it would be renewed ? No, with Spain you need to be resident in order to apply for Permanent Residency. And yes, you need to be resident before you can apply for citizenship – a minimum of 10 years. If PR or citizenship is your goal without becoming resident or tax resident then we would advise the Portuguese golden visa scheme. Say,after I under this scheme for 5years, what kind of permanent residence will I get?is it a card which could be renewed every 5years?will the permanent residency card enable me to live legally in any EU country? Hi my South African family of six are interested in moving to Spain. I am interested in knowing who to contact to help me out with the paper work in south Africa. Thank you in advance. If you are looking for the golden visa in Spain through property investment (minimum €500,000 investment) then we will be able to help you starting with an invitation letter for the Schengen visa in order to travel to Europe. I believe my colleague Edwina has emailed you with regard to this. Is there age restrictions for Investor Visa? Not for the main investor. For his children they need to be under 18 or we need to prove they are dependent, perhaps in full time education. Then they will qualify under the main investor for the visa as part of the family. If they are not accepted as dependent then the only way is a separate additional €500,000 investment in real estate. Can you please confirm the following. For an investor to consider Spain he needs to invest EUR 500,000 in cash in Real Estate. His investors visa which will be granted on this investment are renewable after one year, than 3 years and further. Under Investor Visa applicant does not have to reside in Spain but in effect he gains a right to live in Spain for that period. However after he held investments in Spain for 5 years he is on the way to permanent residency. Now if he applies for permanent residency at year 5 after his investments held for 5 years, he also has to show that he resided in Spain in those first 5 years for a minimum 183 days each year?????? If an investor never stays in Spain during his Investor Visa stay how can he than progress to residence permit if he cannot prove that he spent 183 days each year to qualify for residence. And after the obtains residence permit , does he have to continue with rule 183 days a year for the next 5 years to qualify for citizenship and passport? To progress to permanent residency or citizenship the investor needs to show a committment to Spain. That means living there and paying taxes. For citizenship he needs to live in Spain for 10 years. Rules in other countries such as Portugal are not so rigid. Likewise Hungary for permanent residency under the government bond program. Follow this link for details on other European golden visa programs. Do you need to purchase the 500,000 euro property cash or can it be on a spanish mortgage? You have to bring the funds into the country, so cash, no mortgage on the first €500,000. If you spend more than this you can mortgage the excess. Yes, land or property will qualify. How long after one purchases a house for 500,000 euros will one get residency and does one need to be physically in Spain to get it / can it be sent by mail / can the person be contacted when it’s ready? If 2 unrelated people – let’s say 2 friends – buy real estate worth of 500,000 euros can they both get the residency? If I get it let’s say can I pass it to my parents, sisters? If during my first 5 residency years in Spain, i spend >183 days per year in Spain, would those be accounted for to apply for the permanent residency or those don’t count before the completion of 5 years? Hi Carma, I understand my colleague Edwina has contacted you to go through the detail of those questions. Briefly, each main applicant has to invest €500,000 each. Those days would count towards residency. The golden visa process is quite quick in Spain. However for a long term residency solution with potential for citizenship and a passport one would not choose Spain but more likely Portugal. If you wouldn’t mind – could you please summarize the distinctions between Portugal & Spain citizenship, per your comments above? Thank you very much. Yes, in Spain you need to live in the country 10 years before applying for citizenship. In Portugal you can apply under the golden visa scheme after 6 years without having lived there. There are other requirements but this basic difference, living there or not living there is critical for many of our clients. If we invested $500K in real estate and were thus granted temporary residency, could our family immediately come and our children (three in primary school) attend public school for one half of a year each year? Or, as I see above, they would need to attend private school? We’re considering splitting our time evenly between the US and Spain. Thank you! Such an arrangement would probably require private education and a specific arrangement and understanding with the school. In Spain you would need to be resident and paying taxes/stamp to qualify for state education. Please note it is 500,000 Euros investment. Do you have any update information If we invest 500,000 Euros for property in Spain, when can we start a business or can we work after one year? Can we do business or my kids go school in Schengen area on the first five years? If my kids is 16 years old now and after five years they are 21 years old. Can they apply for the residence card or visa? Yes following a change in the rule last year you can work in Spain. But you can’t work elsewhere in the Schengen zone. For that you need citizenship. If that is your goal you need to look elsewhere. Probably Portugal as citizenship can be obtained there after 6 years without having to live in the country. In Spain you need to live there 10 years. Hello , is there a new law that allows you to have a golden visa with a 160K Euro property investment? No, the investment is a minimum €500,000. When the Spanish government first considered introducing the law back in 2012 there was talk of the limit being set at the average Spain property price of €160,000. You will still find references to this on the web. When introduced in 2013 it was set at exactly the same level as neighbouring Portugal. I have some Questions I would love to ask you and please try to give me the correct answer so I really want to know because Im very serious and ready too since I have this Amount of money without problem . 1. how this work ? I come there and see the property and then pick which one I like then I send money with bank transfer ? or how this work ? 2. after I buy the property can and live there , how easy or hard to move all bills under my name ? how long all this will take ? 3. I have two kids with me (6 and 9 years old ) is there some 5 stars school for kids and how much cost nearly this if you have any Idea or website ? 4. I like to buy Only In spain , what the best Area there you advice me ? close to sea , close to Airport , close to kids school ? 5. how much money I need there per month to live you would guess ? me and wife and two kids ? 6. I hope you dont get board with all my Questions but Im serious about buying there in Spain Only sure . Hi , according to the new rule last year, if we invest 500,000 euro buying property in spain, the investor is allowed to work now. Does it allow investor to access to their public care system? For the golden visa in Spain you are required to have private health insurance. If you are working in Spain then you will be paying national insurance or “stamp”. That then will entitle you to healthcare. If we invest at least 500.000 euro buying property in Spain, is there any obstacle as for sending our child to the private or international schools? After buying property, First year can we stay in spain all year long (especially during the school term of our child)… Meanwhile I am professional artist and book illustrator. Is there any special case or permission for artists such as joining artistic activities, art exhibitions in spain? With Spanish residency you are able to send your children to either state school or private school, which ever you prefer. There are many international schools in Spain too which follow various curriculums. The Golden visa / Residency visa allows you to spend as much time as you like in the country. You can reside full time if you wish or just spend a few days per year in Spain. However it is important to note that if you did want to have the option to apply for PR after 5 years, and Citizenship after 10 years, for this you would need to reside full time in Spain. As for the question on art exhibitions, we do not see any reasons why this wouldn’t be possible, but this is not our area of expertise I am afraid. If I have residency in Spain, can I reside in any other EU countries, such as France or Germany? You can spend up to 2 x 90 day periods per year in other EU countries. So you could technically spend 6 months in France and 6 months in Germany with a quick break every 90 days. If you want to have the ability to live in any EU country with no time restrictions then you will need to hold an EU Passport. You can apply for this after 10 years of residency in Spain. There are quicker routes to EU Citizenship in Portugal and Cyprus. Please see here for more details on the other options. Let’s say I have now 500k Euro , when I move to Spain to invest this money and buy house I will get Permenent Residency in Spain ? Or only 5 years Residency ? After the 5 years or the 10 years Residency finish , and I still have my house there , can I Renew it or what will happen ? Is there is any chance they refuse to Renew the Residency for me ? If me and my wife get Residency in Spain for 5 years , can she work there ? Or she can’t ? Once you have invested €500,000 into real estate in Spain, you will initially received a one year residency visa. You will then need to renew this visa at the end of the first year and you will then receive a 2 year residency visa which you will need to renew again at the end of year 3. You can then either keep renewing the residency every 2 years following, or if you wish to apply for Permanent Residency you can do so after 5 years. As long as you can meet the above, then there is no reason why your visa’s should be refused. Please see this LINK for more details on the programme. you must know that we have an Israeli passports , this mean we can enter any European country we want without problem , we only need Visa to Travel to USA , so that ok ? or we still need to get you anything to prove that ? or no need ? Please explain to me all these things very clear so I know exactly how things work . we are from Israel , me and my wife and my two kids , we have Israeli passports , this mean we can travel anywhere we want without problems , with all my respect for all other immigrants , but we are different case , so what we look for is nice and safe place to live there with our kids and then to have residency for 5 years and then we love to apply for spanish nationalty as well . is it possible to do that after 5 years or 10 years residency there ? The second important thing we like to know is , what kind of residency visa we will have the first year and then for two years ? is it only to live there ? I mean lets say my wife wanted to work in spain , can she work ? or we are not allowed to work and only to live and that all ? for sure we have money to live there but you know sometimes for change if my wife liked to work , can she work with this residency visa she have ? or NOT we cant at all ? I am inquiring about the advantage of Golden Visa program over the non-lucrative Type D visa, which does not require ANY investment. -Both types of visas allow residing in Spain permanently. -Neither allows working/earning a living in Spain. -In order to qualify for permanent residency and citizenship, both types of visas require residing in Spain. So what is the advantage of Golden Visa? The only difference is that with Type-D visa, one loses the status if does not stay in Spain minimum of 6 months. With Golden Visa, one does not lose the status but if does not stay in Spain at least six months a year, loses qualification for permanent residency and citizenship. So your goal is to live in Spain anyway, why even bother with spending 570k euros (500k + taxes & fees)? You can live here anyway without buying any property. Am I correct in my analysis? Many of our investors are not looking to live in Spain, but simply want to obtain Spanish residency solely for the travel benefits and the access to the schengen zone. Many choose it as a Plan B and insurance for the future if they face turmoil, disruption and political risk in their home country. They choose to opt for the Spanish Golden visa as it does not require you to live in Spain, and therefore means that you do not need to become a tax resident. With the non lucrative visa, you must live in Spain and this means that you would have to become tax resident and pay tax on your worldwide income. Quick question:if I decide to live (and look for a job ) in Spain, as a European citizen, and live on my savings while looking for a job, can I still apply for a social security number without a job ? 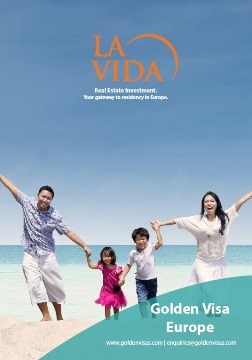 We only deal with golden visas, that is real estate investment leading to residency in Spain. The Spanish golden visa is not available to European citizens. But yes, I’m sure you can apply for an NIE number if you live there.